The Klem Project, by Korean designer Lee Jinyoung, aims to put a pair of shoes on every child and adult in Malawi. The innovative project enables locals to make their own shoes with an easy DIY process using recycled tires and remnant fabric. The shoes protect locals from being susceptible to diseases that could be picked up by walking in the elements barefoot. The Klem project puts the local Malawi people in control of their own destiny and safety. Many locals, both children and adults, are unable to afford shoes, spending foreign aid on more vital daily necessities. Children have become accustomed to going barefoot, which not only damages their tiny toes, but can also making catching infection easier as germs are exposed to wears and tears within the skin of the feet. 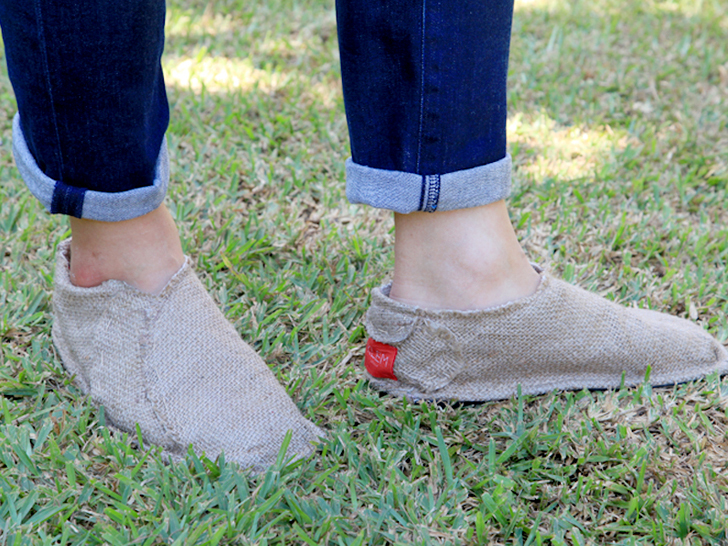 Klem shoes have an open design, letting locals make them easily and fit to their size. A bottom protecting layer of recycled tired is cut into a sole shape and acts as the anchor of the design. The remainder of the shoe was designed to use minimal fabric, making it easy to transform old clothing or remnant fabric into a wearable shoe. The shoe is then stitched together using thread or string, fitting snuggly on the foot. Jinyoung has made the Klem Shoe an Open Design project, meaning that the pattern is accessible to anyone for free at the public level, and preventing mass production for profit.